My purpose is to support the evolution of humanity through the transformation of consciousness. lives of thousands of people. I have worked with over the last 40 years. Hypnosis creates great transformation from the inside out! 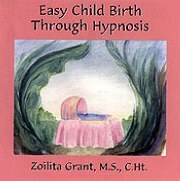 This CD is designed to help you to have an easy and comfortable birth. Your body is ideally designed to give birth. It is only the mind or emotions that get in the way. By using this CD on a daily basis, your incredibly powerful mind then helps your body do what it is designed to do: give birth in an easy and comfortable way. This CD is not meant to replace pre-natal care, but is a tool to help you use your own mind to create an easy & comfortable way. “My experience at CSCH was enlightening and life changing! Zoilita brings her depth of knowledge and true wisdom into the classroom and into her relationships with her students. 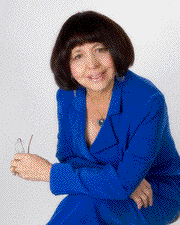 This approach to Hypnotherapy is empowering and truly does support and encourage self-healing."